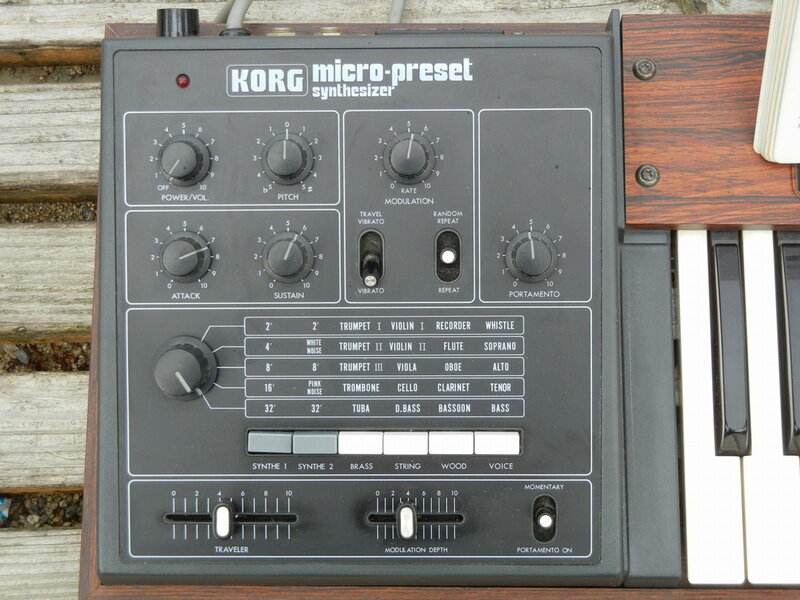 Low cost preset synth. Built 1977-79 as M500. There appears to be an older then the pictured version with a metal circle on the knobs. 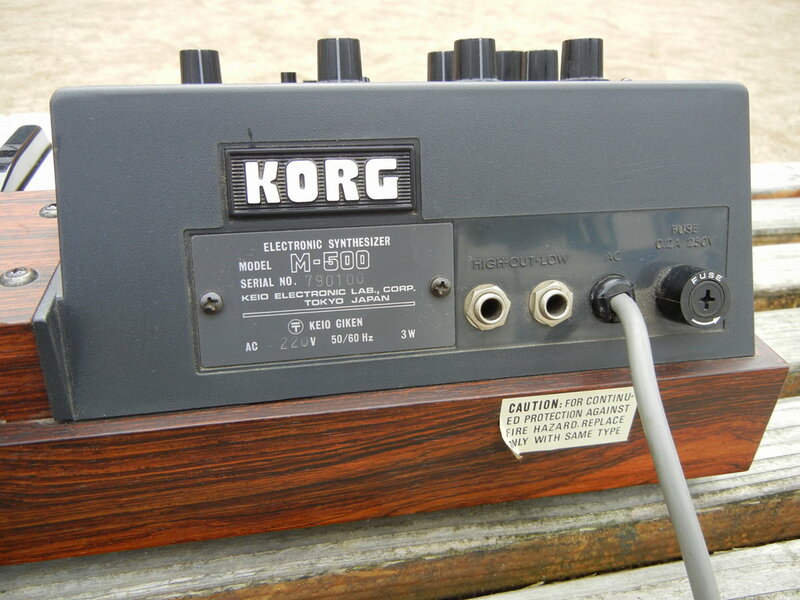 And from 1980-82 as MP500 it was built with a 600mW powered speaker below the panel. And the panel being in a beige like colour. The Preset selectors. You may push more then one of the buttons down at a time. non detachable (grrr!) power cord. Notice the power consupting of only 3 Watts !!! 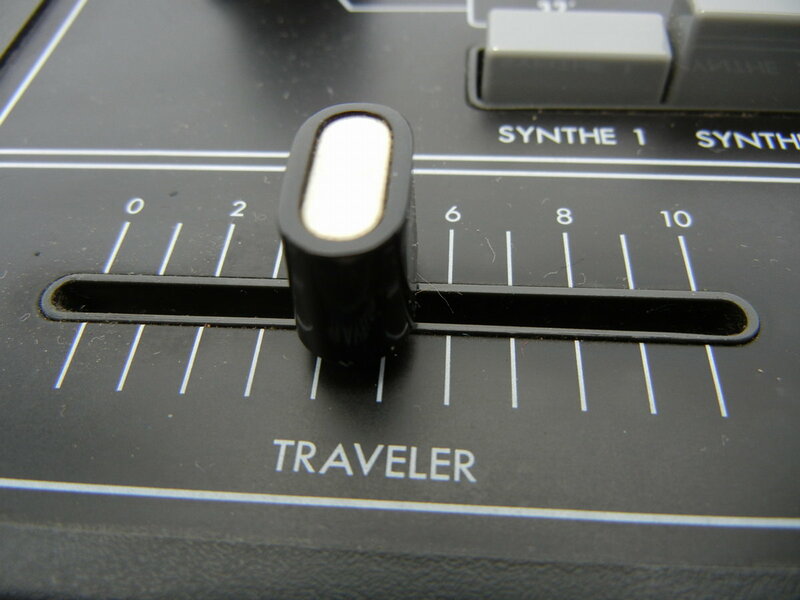 Like most of the older Korg synths, this one also features the well known Traveler filter. 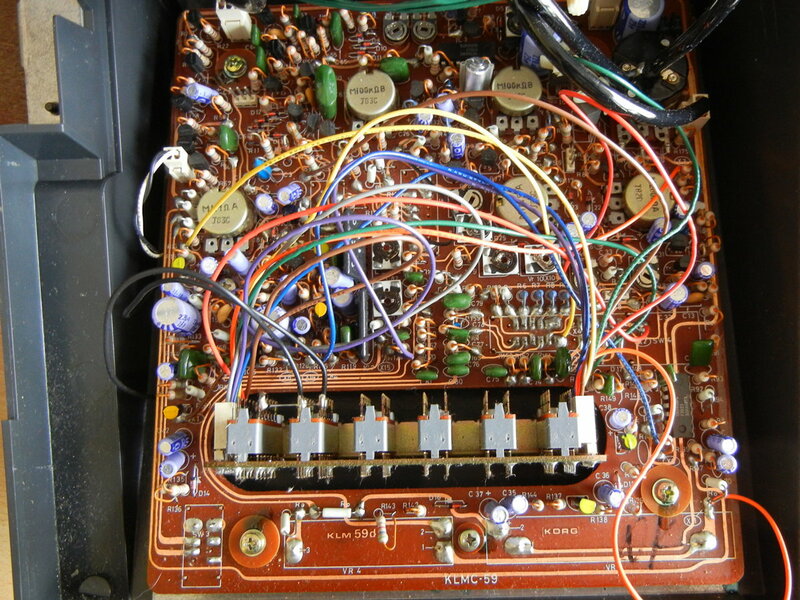 It is an lowpass filter with some resonance being added. You may change the cutoff point here maually. Only one board of electronics. Notice the huge main selector push-buttons here. 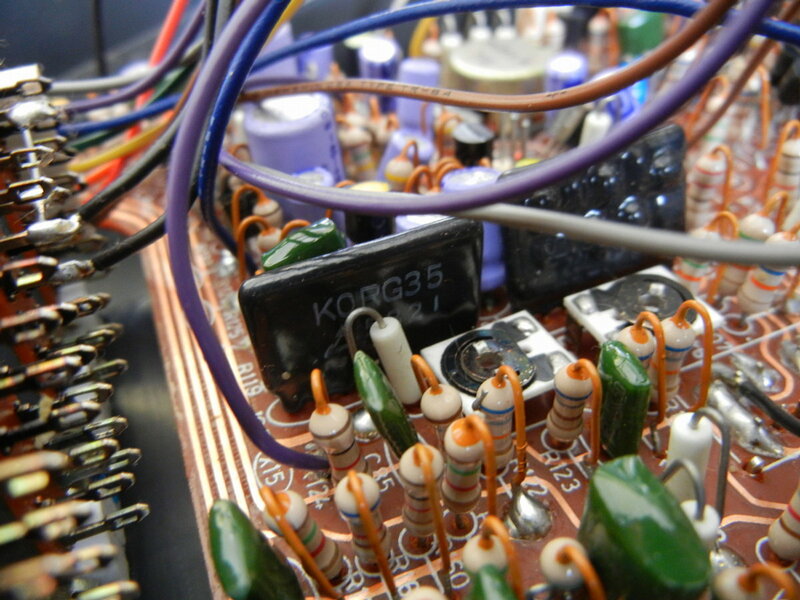 And a rather unpleasent amount of coloured cables all over from one edge of the board to the push buttons. 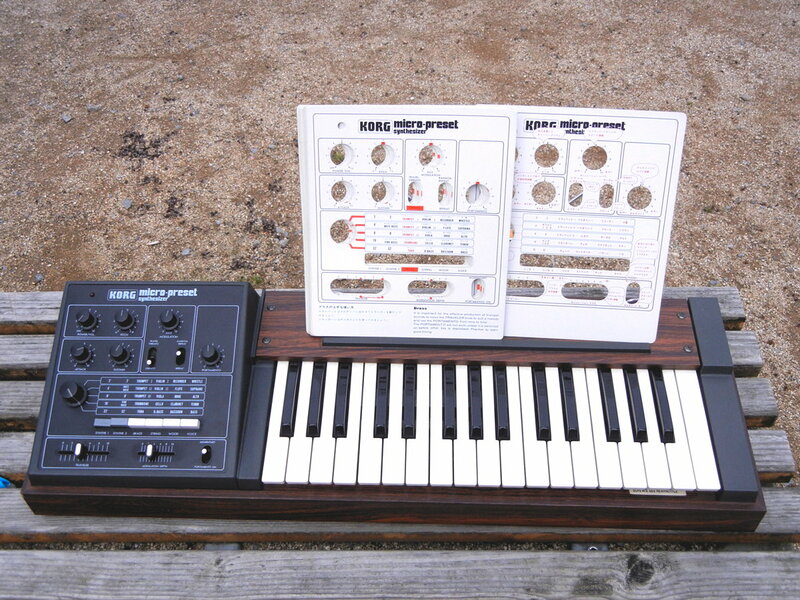 Two times the well known Korg 35 filter "chip". Not sure which preset sues which of these two filters or both.